The University Administrative Council has decided to promote FASS Faculty Member Assoc. 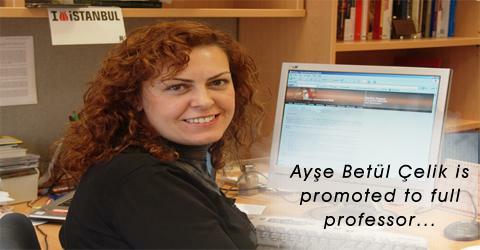 Prof. Ayşe Betül Çelik to full professor on 16 December 2015. We are confident of Dr. Çelik’s further successes in her career.